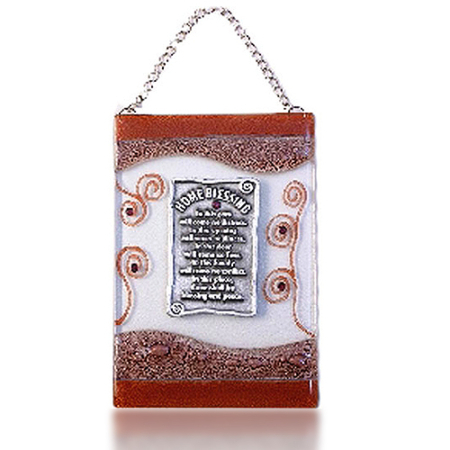 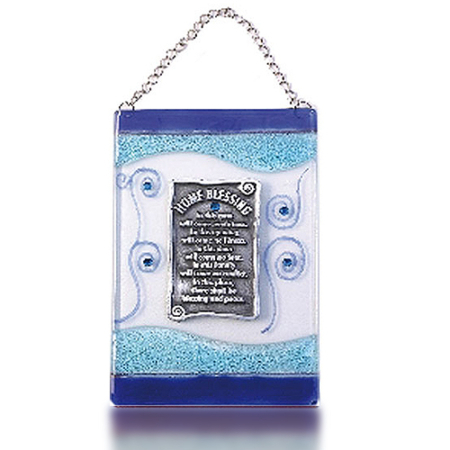 The Home Blessing set is a great gift for any occasion. 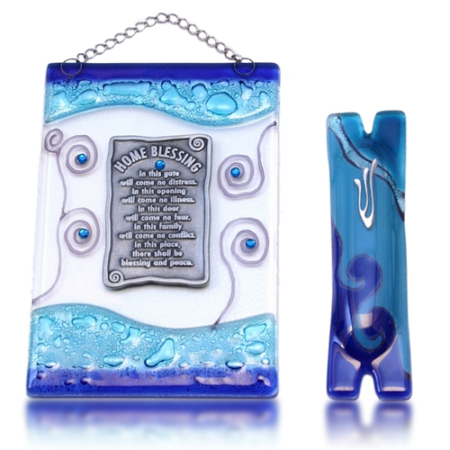 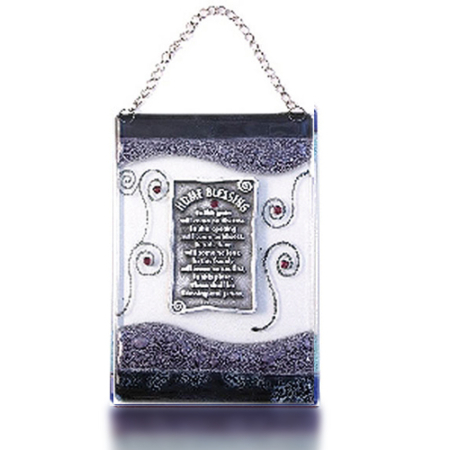 This set includes a special design of a blue swirl half glass Hamsa and a metal blessing in English with matching glass mezuzah. 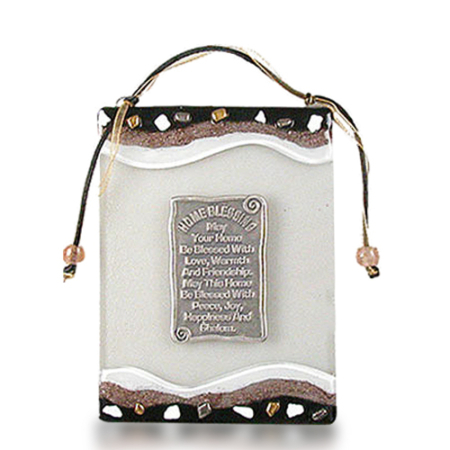 The blessing set comes in white gift box.